Participants in VLT and NYFC’s two-day Land Access Innovations Training in Burlington, VT. 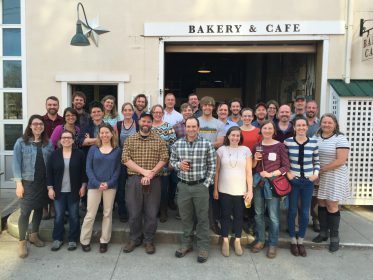 In April, the National Young Farmers Coalition and the Vermont Land Trust teamed up to host a two-day Land Access Innovations Training in Vermont. 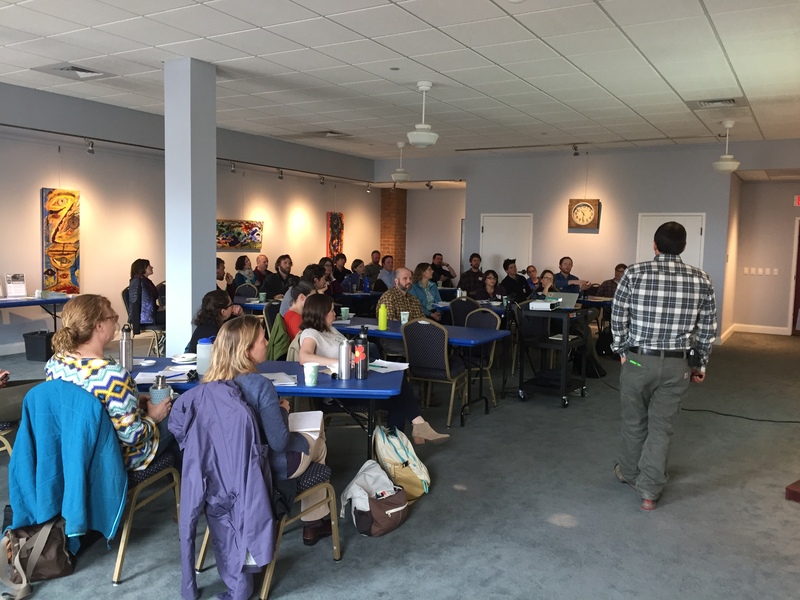 The training brought together staff from 26 land trusts, state agencies, foundations, and other organizations across 10 states to discuss tools and strategies for protecting working farmland and helping the next generation of farmers access land. NYFC has hosted two national trainings and three regional trainings for farmland conservation organizations across the country over the past three years. The demand for these trainings marks a growing shift in the conversation about farmland conservation. 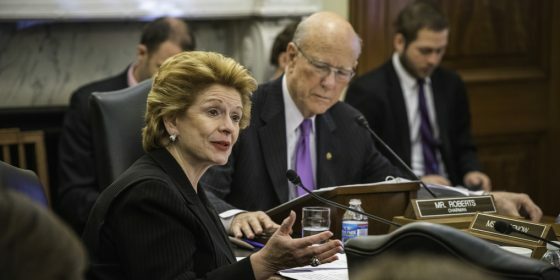 More and more land trusts are recognizing the importance of addressing farm viability and the needs of young farmers as critical components of farmland protection. Jon Ramsay, VLT’s farmland access program director, discusses farmland protection strategies with participants. 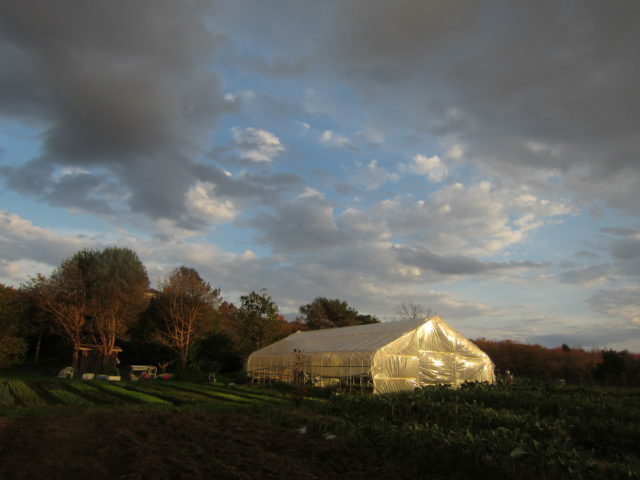 The training covered the technical aspects of implementing a conservation easement with an option to purchase at agricultural value (OPAV), as well as other strategies the Vermont Land Trust uses to keep farmland in working agriculture. You can read more about working farmland conservation easements in NYFC’s Farmland Conservation 2.0 report or in our series of case studies. An OPAV provision strengthens the language of farmland easements and comes into play at the time of farm transition. If a farm is not being sold to a qualified farmer, the OPAV gives a land trust the option to purchase the farm, or assign the purchase to a farmer, at its agricultural value—what a working farmer can afford. NYFC believes that this tool is a critical addition to farmland easements to ensure that farmland protected with public dollars stays in the hands of farmers and that land remains affordable to working farmers. On the second day of the training, we focused on farmer needs and challenges. Sam Smith from the Intervale Center in Burlington discussed how to analyze farm business plans and match farmers with the right land access opportunity for their needs; three farmers presented their stories of working with the Vermont Land Trust to access land; and participants were offered a choice of field trips to two farm projects—the Norris Berry Farm, a property that is currently transitioning to a young farming couple with the help of a conservation easement; and Pine Island Community Farm, a 230-acre property owned by the Vermont Land Trust and managed by the Association of Africans Living in Vermont to support New American farmers. 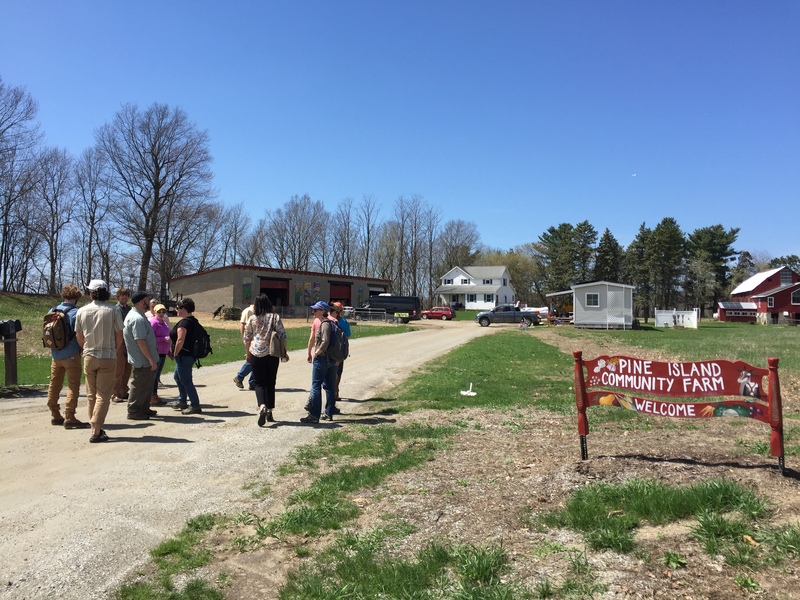 Participants tour Pine Island Community Farm. Participants in this training will continue the conversation through NYFC’s Land Access Innovations listserv and future trainings. If you’re interested in organizing a training in your region, please be in touch with Holly, our land access program director. Thank you to the Whitehead Foundation for generously sponsoring this training.